Frontier’s Planet Coaster may still be months and months away, but today the gates opened to the wonderland that is the game’s alpha. Limited in scope and still rough round the edges, it is nonetheless your chance to get involved with the game’s development and create your own theme park right now. Planet Coaster is a far cry from Frontier’s last game, Elite: Dangerous, which is one of the best space games on PC. To play the alpha you need to have purchased the Early Bird version of the game. Standard-edition pre-orderers can upgrade to Early Bird status if they fancy playing the alpha now. The alpha will roll out in three stages, and it all starts today with Modular building and Paths. As you can see in the video below, that includes the ability to build some incredible shops with a Sims-like editor; a system far and above any theme park game I’ve played before. Notably, roller coaster creation is not available right now in the alpha. Well, officially. Frontier don’t quite have the feature in the condition they’d like it to be in, despite feedback already being very positive. If you do really want to use the creator in its current form, you can unlock it by searching through the alpha’s menus. As the alpha continues, big new features will be added. First up is coaster building and landscape editing, while phase 3 will add community functionality and blueprints. 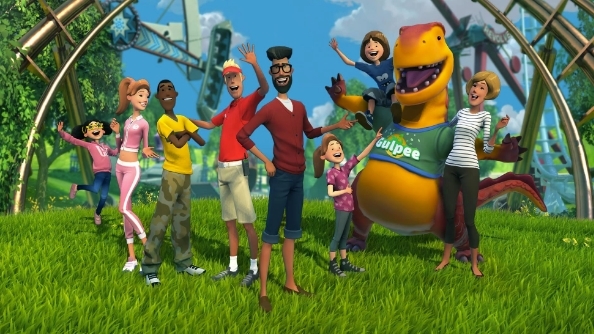 The alpha will continue right on until a short beta just before launch, meaning if you buy into the Early Bird version of Planet Coaster you can play constantly. Have you been playing the Planet Coaster alpha today? Let us know what marvels you’ve created already in the comments.